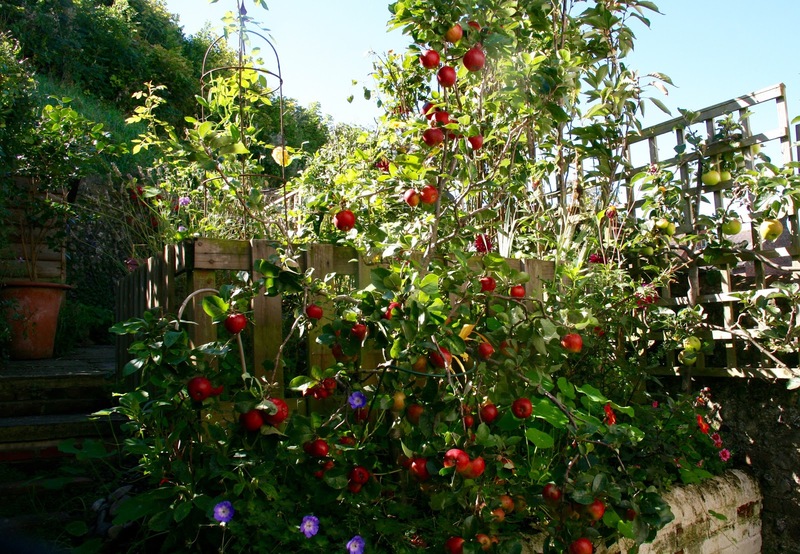 My little apple tree has been a source of pleasure all year and this weekend its season reached its climax with an unusually large amount of bright red fruit ready for picking here in my Lewes, UK, garden. 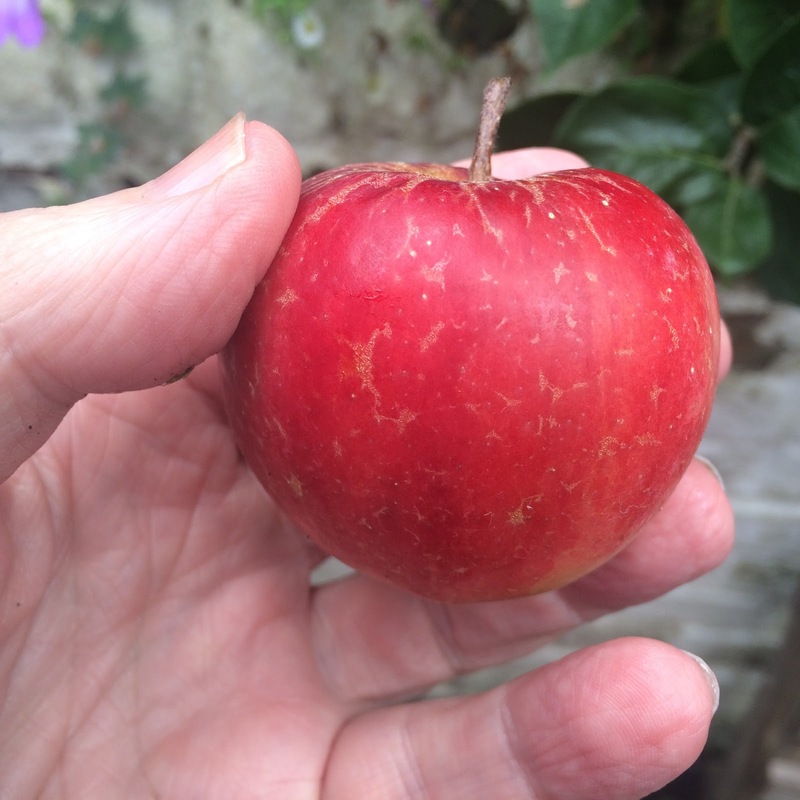 This is a French variety of dessert apple called Croquella which is grown as a miniature tree and which works well in my small urban garden. Not only are its fruits like Christmas tree decorations from summer to autumn but the blossom is one of my favourite flowers. This is what it looked like in April this year. In 2014 it didn’t blossom at all and there was no fruit last year so I was doubly pleased to so it in bloom this time round in the seventh year since I planted the tree as a tiny sapling. For a moment, this weekend, I regretted that the time for picking had arrived because these little red balls have been so decorous out there in my garden. 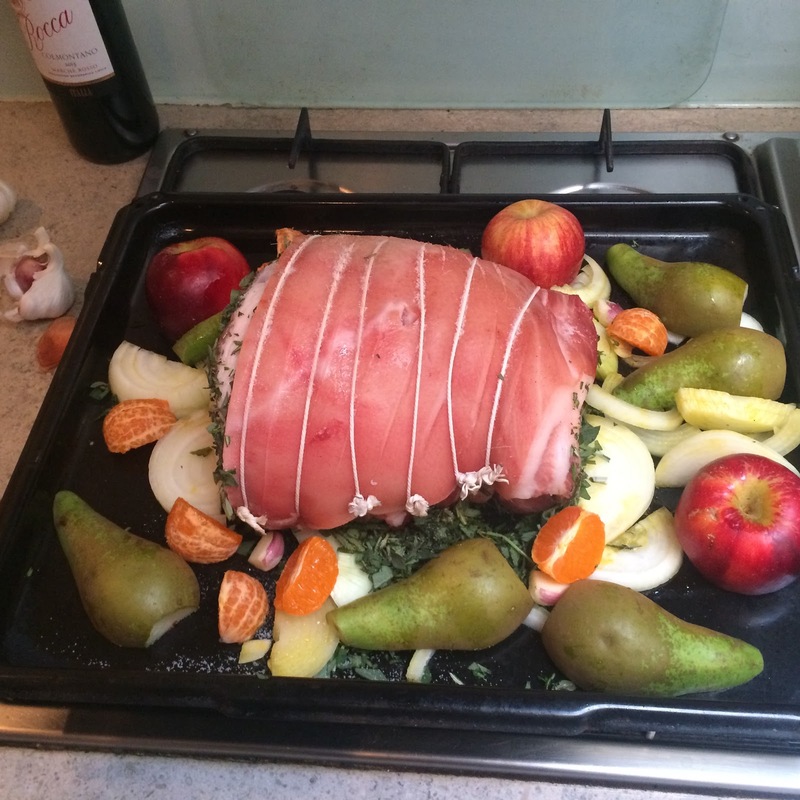 Harvest-time has its own imperatives and I followed its orders on a lovely sunny weekend. 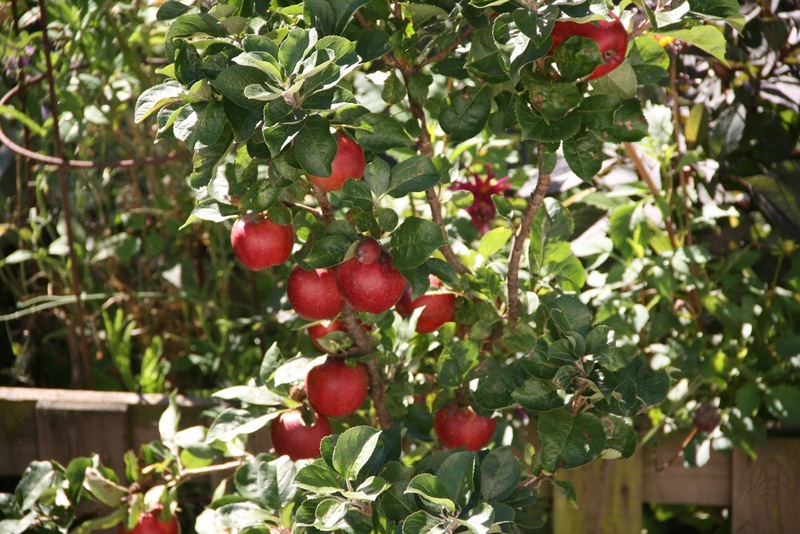 It always amazes me how much fruit is produced by this plucky little tree but this year has seen a bumper crop. 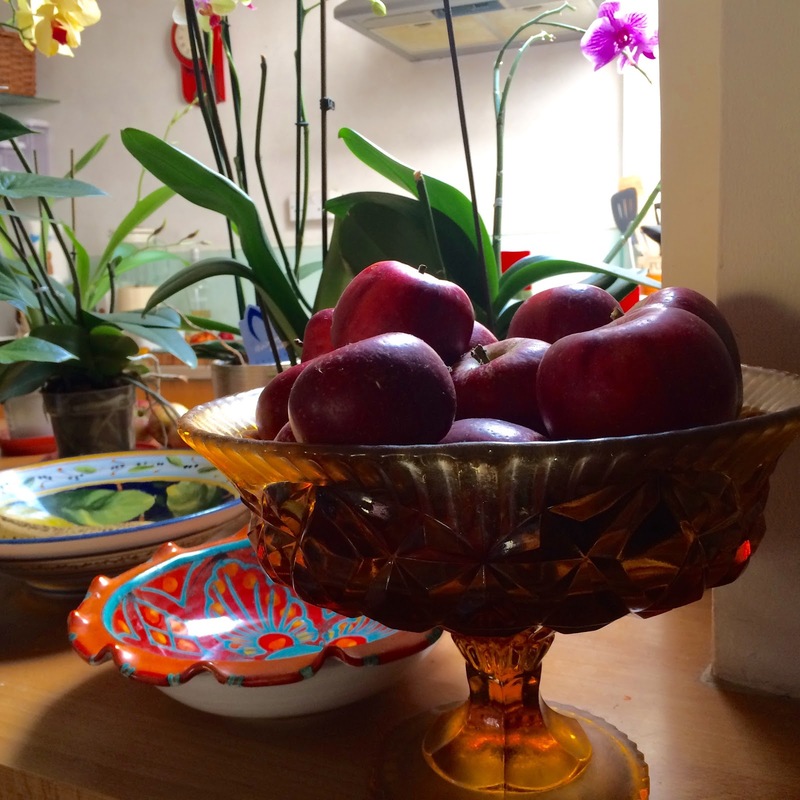 With the apples picked and stored, my garden has lost one of its seasonal highlights but the dahlias and heliotropes continue their autumnal starring role. 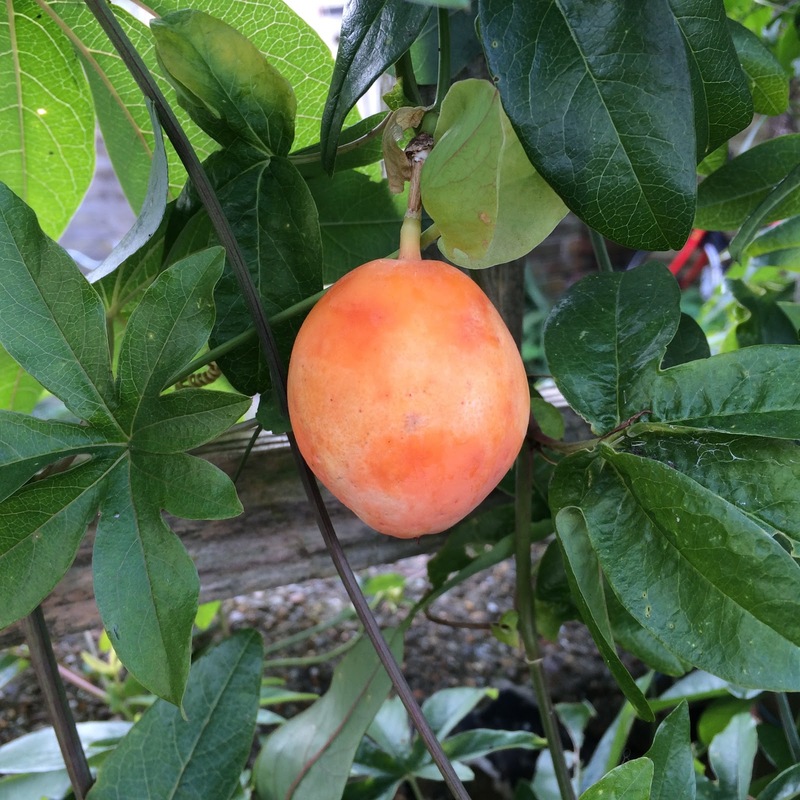 The passion flower too continues not only to flower but to fruit. I wasn’t expecting this extra fruit harvest but the passion fruits taste delicious. 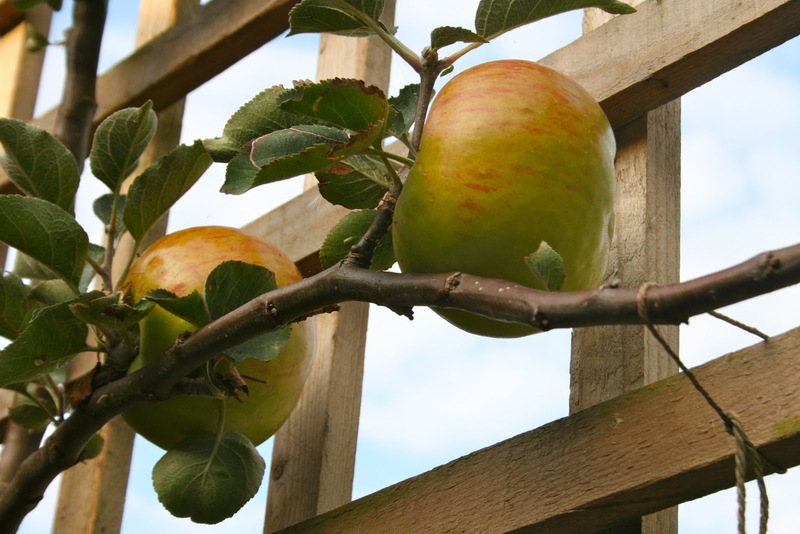 I’ve still got Bramley cooking apples ripening on the espalier tree too. 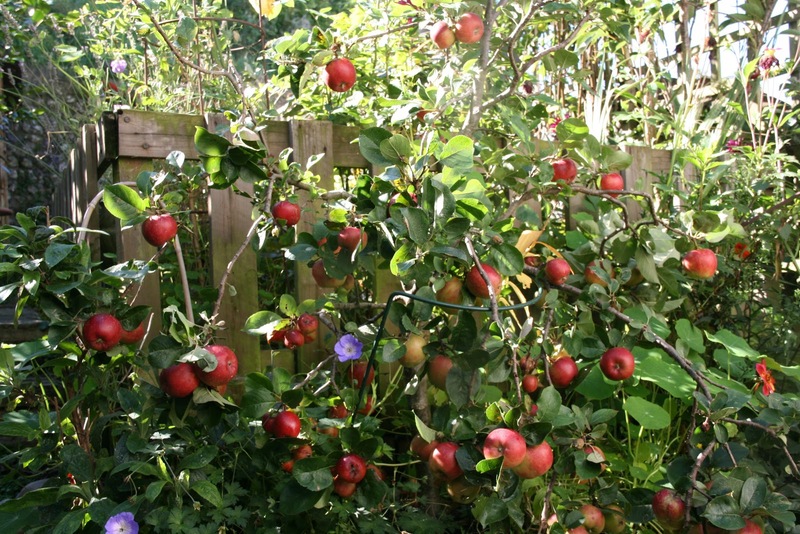 So it’s been a successful season for fruitfulness. 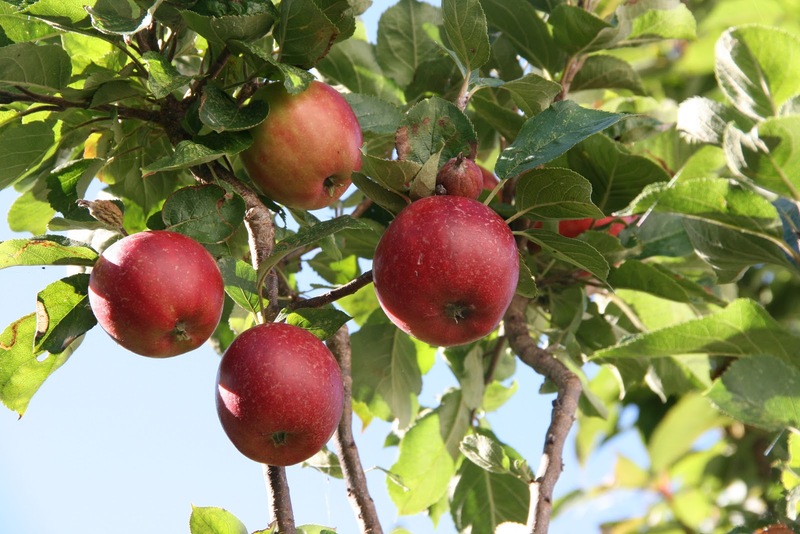 These Croquella apples don’t just have pretty faces – they taste good too. 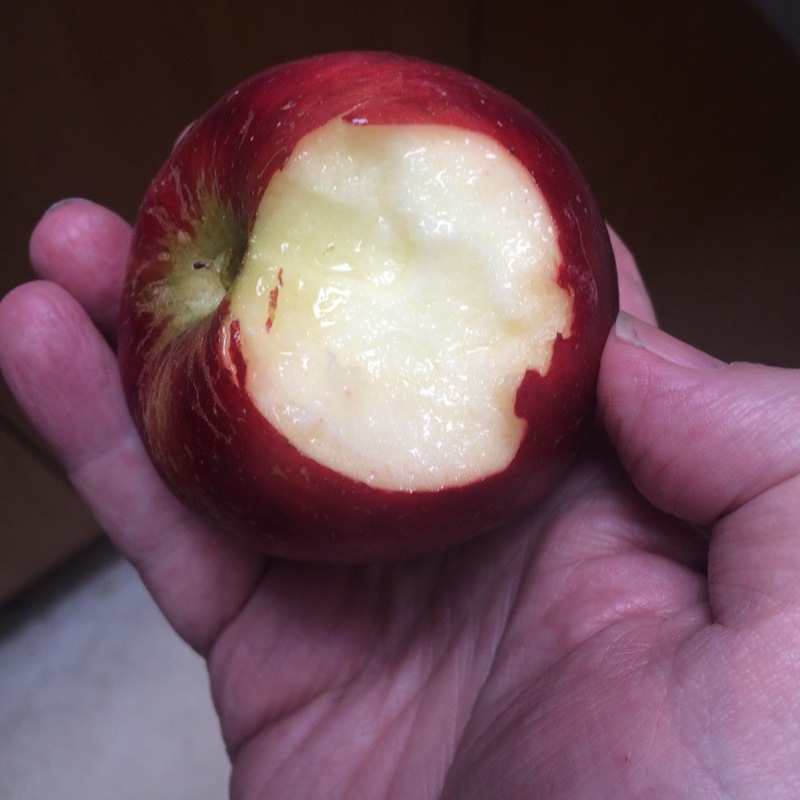 Juicy and sweet without being too sweet – just how you want an early season apple. 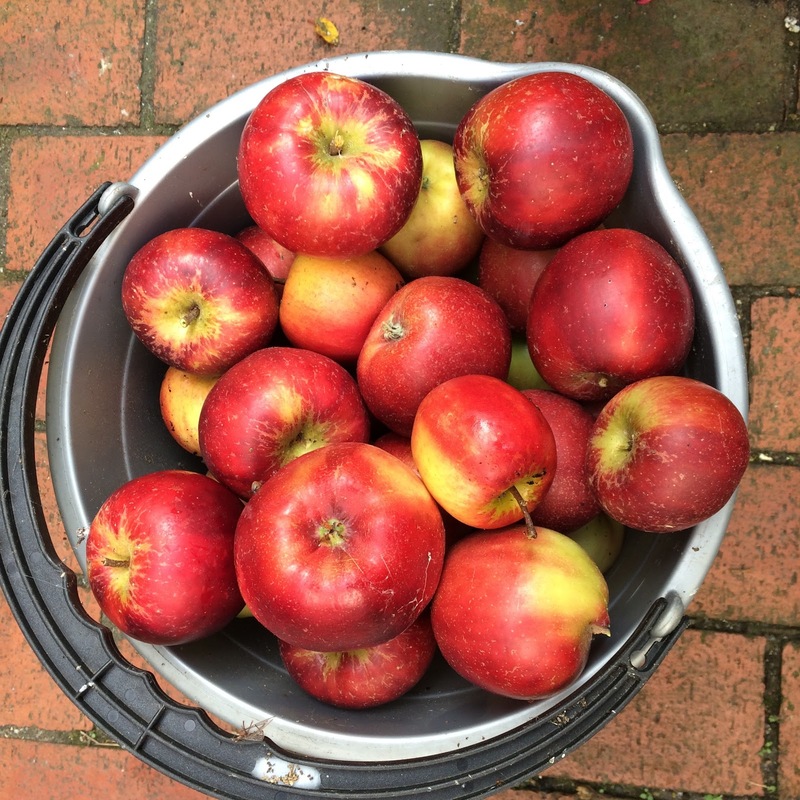 Some of these Croquella apples made it into a splendid and traditional harvest feast of roast pork on Saturday. 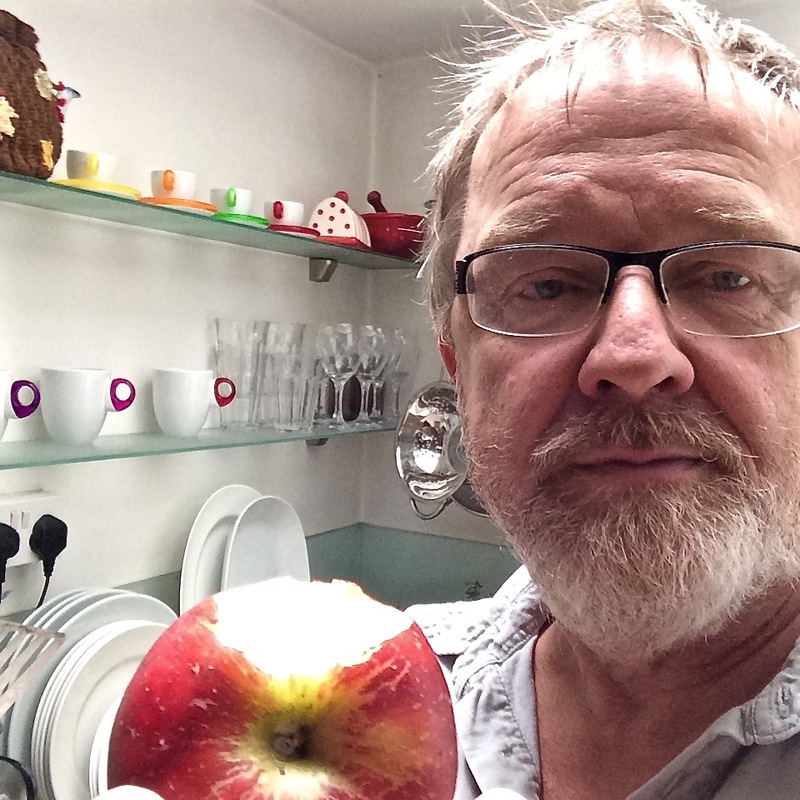 Some more of them are now sitting in the kitchen fruit bowl and the rest are stored in the garden shed – my harvest is definitely home. 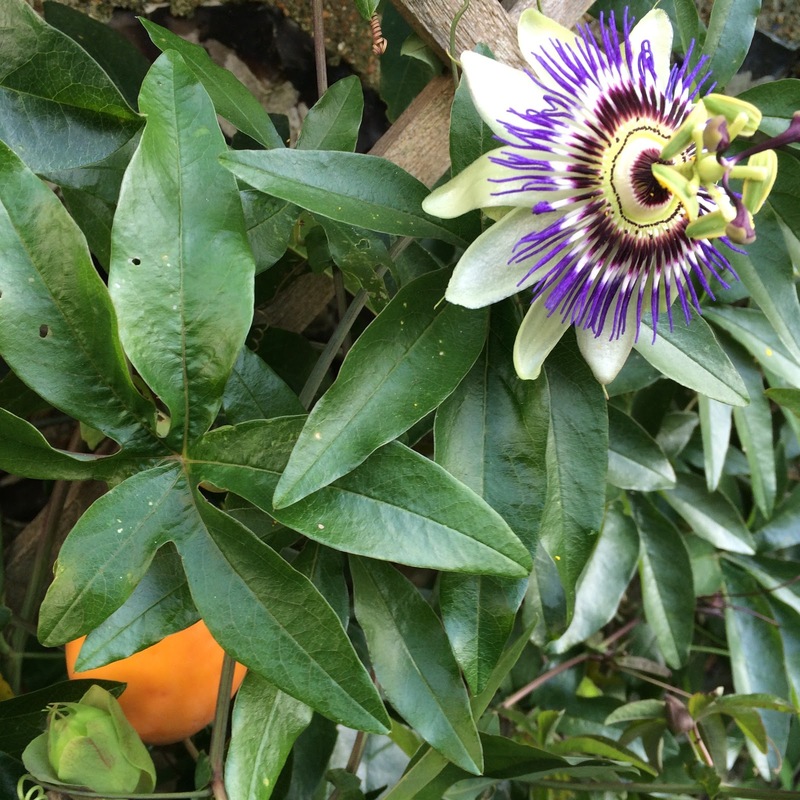 Unexpected exotic passion in my Lewes garden. 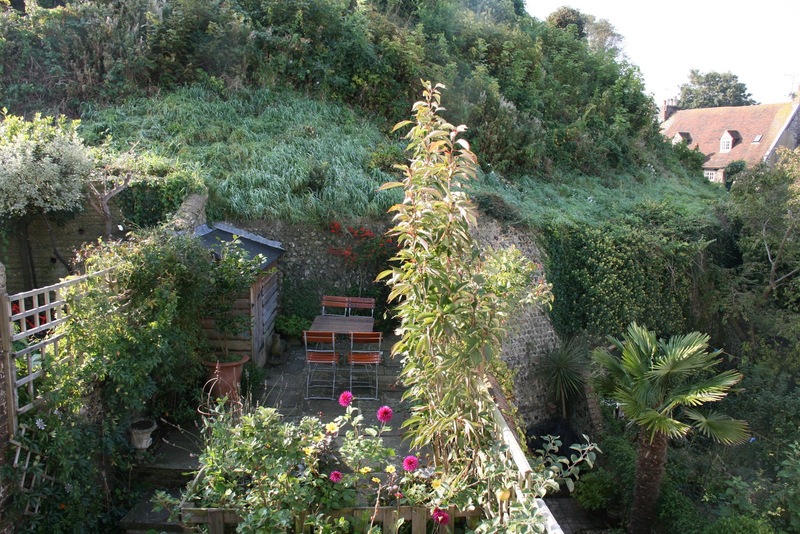 A perfect summer’s day in Lewes – surely we can’t be getting a storm. 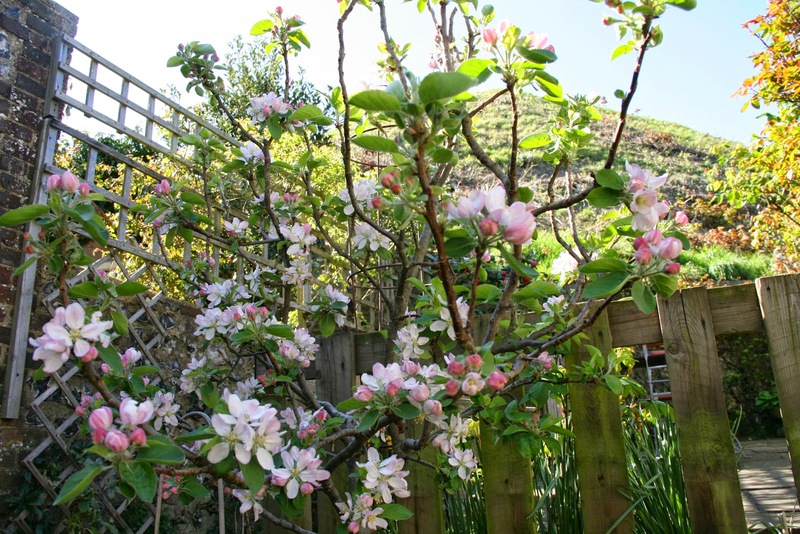 My Lewes garden is blossoming again – it’s a beauty contest between apple and cherry. My camellia has forgiven me here in my Lewes garden.